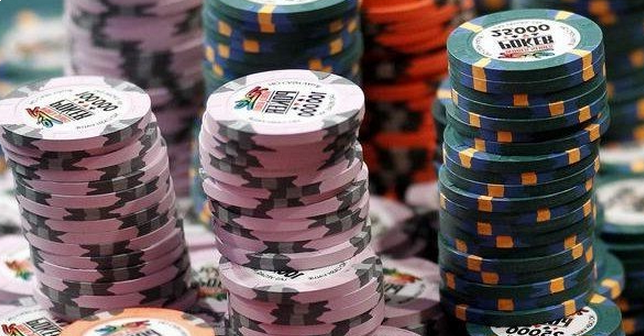 Amateur poker player Ofer Zvi Stern from Israel is one of the finalists hoping to win the World Series of Poker's $7.6 million prize at the Main Event in Las Vegas this week. The players still in the hunt for the prize hoping to eat into Joe McKeehen's chip lead are - in order of chips - Israel's Ofer Zvi Stern, San Francisco's Neil Blumenfield, Las Vegas' Max Steinberg and New Jersey's Joshua Beckley and Thomas Cannuli. McKeehen's performance was the talk of the night, although Zvi Ofer Stern's warning for too long in his decision-making process during the game was also discussed. Steinberg said that ithe WSOP should adopt a shot clock to speed the pace up a bit when it is clear that a player is just Hollywooding. Federico Butteroni is going home with $1.1 million. He has been in the last, and hanging by a few million chips, McKeehen pushed to go all-in. Butteroni's fans sang "jack, jack, jack" but none made an appearance. For Chan, it was simple math. Against McKeehen's huge stack of chips, he believed that his king-queen combo would be a strong enough hand. He also leaves with $1.1 million. Cannuli went all-in with a pair of aces and Steinberg only had a pair of tens. The flop, however, was Jack, ten, six - giving Steinberg three of a kind. Neuville only had a couple of million chips when he moved all-in against McKeehen hoping that an ace-jack suited would save the day. It seemed like it would be good enough as McKeehen only had a jack and six of hearts, but McKeehan's hand was transformed when the dealer revealed the last card. 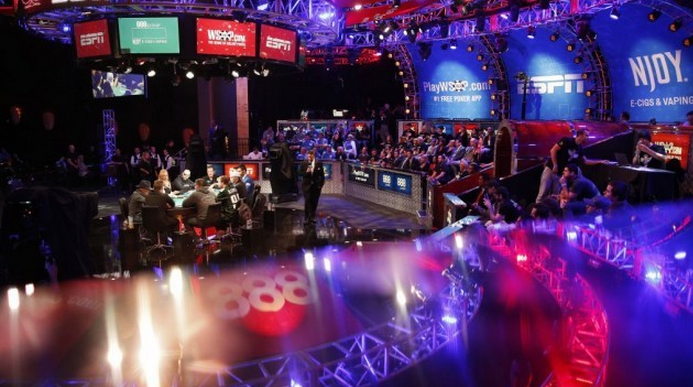 Who will be the final three in the World Series of Poker's Main Event final table? A group of executives and players from the poker community got together for an evening at Binion's Gambling Hall in Las Vegas. The WSOP Hall of Fame dinner and ceremony's purpose was to honor the WSOP 2015 Player of the Year, Mike Gorodinsky. There was a buffet for all present as well as an open bar. The people attended took the time to socialize during the evening. The action returns to the Las Vegas table an resumes 7:30 pm Eastern Time from Monday. The chances are that Joe McKeehen will make it to the final three, but who would join him playing for the $7.6 million first prize and the championship title? 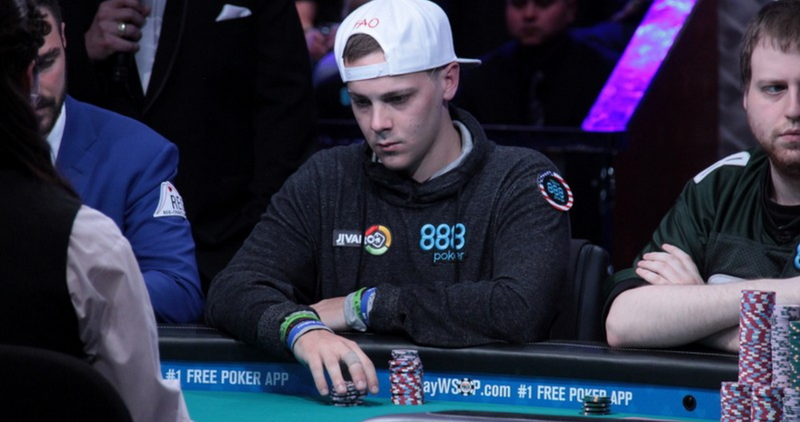 Twenty-four-year-old Joe McKeehen from Pennsylvania is far away in the lead, with 91.3 million chips. The second place player only has 32.5 million in chips. Player Max Steinberg showed a pair of 10's that quickly turned into a winning three-of-a-kind when the dealer placed the flop of the cards. Italy's Federico Butteroni's is not going home with the $7.6 million. He did go home with $1.1 million, though. He was hanging on with a few million chips when McKeehen pushed him to go all-in. Butteroni fans sang "jack, jack, jack" but it didn't make an appearance. On the other hand, Patrick Chan was the first player out after he went all-in holding a king of spades and the queen of clubs. McKeehen was holding the ace of diamonds and the four of hearts. None of the five community cards could save 26-year-old Chan. "I'm just glad I made it to this far. I appreciate the friends and family that came for me. I guess it just didn't work out today. But it's just poker." For the last player eliminated on Sunday night, Pierre Neuville from Belgium, the World Series of Poker final will not be his last, and his eyes are already set on the next tournament. Neuville had a couple of million chips when he moved all-in against McKeehen betting that an ace-jack suited would have won. It seemed like it would be good enough, but McKeehen's jack of hearts and six of hearts were transformed into a winning hand when the dealer revealed the final card. Is it true? PokerStars to return to the online New Jersey poker market? Poker history changed forever on 15th April 2011. On that date, which has now been called Black Friday, US poker players were blocked from playing regulated online poker. This changed the gaming landscape completely. New Jersey's DGE has finally given its approval for PokerStars to start operating. However, the mood is fairly muted. Reaction from Ray Lesniak and the other politicians who asked for the state to allow PokerStars to start running was non-existent as well as Eilers Research, who previously said that PokerStars' entry should lead to a massive growth in poker in New Jersey, seems to have changed their projections. In addition, the people of New Jersey do not seem to be excited about the prospect. 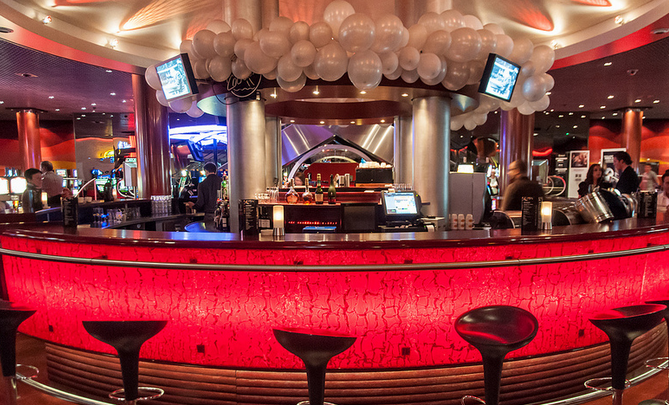 Casual gamers had been waiting for the return of the rooms that they have already played in. But online poker in New Jersey is not booming. The World Series of Poker/888poker room only manages a seven-day average of just 170 players, according to PokerScout. The reactions in the world's largest poker forum, 2+2, are mixed. A 17-plus page thread has some positive comments. But there are also negative comments. FastBF posted, "With regards to some of the optimism the fellow NJ players have regarding the news, I wish I could share it." And BRm34eva added "(Stars) probably won't even be able to fill SNGs. Wake me when ROW is involved." PokerStars has hosted the most expensive online tournament to date as part of the WCOOP, the $51,000 Super High Roller, which attracted 46 entries. It attracted many of the biggest names in poker like Daniel Negreanu, Doug Polk attended Daniel Colman attended. Ben Tollerene come out on top, after a three-way deal for $616,518.34. Online poker players beware: Win32/Spy.Odlanor spyware can take a peek at your cards! Online poker players have been warned of a spyware threat that tilts any chance of victory. A new computer virus - Win32/Spy.Odlanor - all but ensures that if you play, you may pay. The sneaky malware was found lurking in a piece of software designed to help poker enthusiasts to play better, said security company ESET. It works by taking screenshots of a player's computer while they are playing online poker. 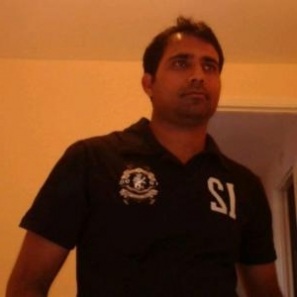 These screenshots are then sent to a remote attacker computer. The screenshots show the player's hand and their player ID. This allows the attacker to search for that player online and join their poker game. Using the information on a victim's hand in the screenshot gives the attacker a significant, unfair advantage in a poker game. Like other computer trojan, Win32/Spy.Odlanor can be unintentionally installed on a computer when the user downloads an infected app or online software. As of September 16, there have been reports of hundreds of users who have been infected with the malware. Most of the people who have been infected to date are located in Russia, Ukraine and Kazakhstan. The news comes hot on the heels of PayPal quietly announcing that it was returning to online gambling in the US after 12 years of absence from the industry. Online gambling is illegal in most of the states of the United States, but a growing number are introducing bills that would legalize gambling. Because fraudsters often target online gambling, Paypal has invested heavily in fraud risk management since 2003. What a scary threat to poker players. It makes one wonder though - will the malware be also able to affect the super computer Claudico? Want to know the top ten poker players who have made headlines and great winnings in the poker industry? Well, the richest, most successful, and biggest poker names have been compiled just for you. Hope you'll get informed with this piece of information. Negreanu was named the Global Poker Index player of the decade due to his consistent good performances in the live arena. This Canadian poker star is the only player to win World Series bracelets in Las Vegas, Europe and Australia. His biggest winning tournament was the $1 Million No-Limit Hold'em - Big One for One Drop in 2014 WSOP with a total earnings of $8,288,001. Esfandiari is one of the most popular poker players on the live tournament scene. The Magician has been a household name for more than a decade. This Iranian-born poker star has made six figures every single year since 2004 and has two World Poker Tour titles along with his three World Series of Poker bracelets. His biggest achievement so far came in $1,000,000 No-Limit Hold'em - The Big One for One Drop in July 2012, when he beat a star-studded field to win poker's biggest ever prize of $18,346,673. Seidel, also known as Seibord, is an American poker player who was inducted into the Poker Hall of Fame in 2010. In his first major tournament, Seiborg was a runner-up in the 1988 WSOP Main Event to Johnny Chan, where his final hand was featured in the movie 'Rounders.' This 55-year-old poker player won his first bracelet in 1992 and won his eighth and latest bracelet in 2007. His biggest winning happened during the Aussie Millions - Melbourne $250,000 Super High Roller where he claimed $2,489,747. Undoubtedly, Ivey is one of the most popular and most successful poker talents in the world. This 38-year-old high-stakes player won his first World Series of Poker bracelet in 2000 and appeared at nine WSOP final tables. Several poker observers and contemporaries regarded him as the best all-round player in the world. In 2012, he bagged the first place in the Aussie Millions $250,000 Challenge for $2m, and he also became the first two-time winner of the event in 2014, claiming the pot luck of $3,573,600, which was the biggest win of his career. The 29-year-old Trickett is the only European poker player in this list. He might not have any bracelet yet, but his winnings have become so huge that he has managed to amaze the poker industry. Tricky finished second in The Big One for One Drop behind Esfandiari in July 2012. There he won $10,112,001, making him Great Britain's all-time most successful poker player. One of the best poker players in the world - that's Hellmuth! His 14 bracelets have really awed not just the poker industry, but millions of people in the world. This Poker Hall of Famer is the winner of the 1989 WSOP Main Event. In fact, he became the youngest player to win the Main Event by outsmarting the two-time defending champion Johnny Chan. As of March 2015, Hellmuth has won over $12,000,000 at the WSOP and ranks fourth on the WSOP All Time Money List, behind Esfandiari, Daniel Colman, and Negreanu. His greatest earning happened at the $1,000,000 No-Limit Hold'em - The Big One for One Drop where he won $2,645,333. Duhamel is the first Canadian player to capture the Main Event bracelet. He is also best known as the winner of the 2010 Word Series of Poker Main Event. The highlight of his post-2010 career happened at the 2012 PokerStars Caribbean Adventure, when he made four final tables in the space of a week for a combined $1.2m. Duhamel's largest earnings happened at the $10,000 World Series of Poker Main Event where he took home $8,944,138. This Indonesian-born poker pro has an incredible 35 cashes of $100,000 or more over the last two decades. He can often be seen in Macau, where he recorded his largest ever cash of $$1,645,753 in the 2012 Macau High Stakes Challenge - Super High Roller. Mercier is an American player who took the top spot in the European Poker Tour Sanremo Main Event and bagged the $1.4 million prize. At 28 years of age, Mercier has won multiple World Championship of Online Poker titles, while also ranking well on the Global Poker Index. His biggest career win happened in the 2014 Summer High Roller Series where he brought home $1,622,181. Mizrachi, also called The Grinder, is hailed as Florida's most successful poker player. This 33-year-old poker talent has been visible and successful for 10 years at tournaments all over the world. He won four separate tournaments with first prizes of more than $1m. His biggest career winning came through at the $10,000 World Series of Poker Main Event where he snatched the prize of $2,332,960. Remember, this list may be changed in the future depending on the achievements and earnings of the poker stars. So, keep posted and we will give you the latest list soon! Phil Ivey, known for his professional poker prowess, is suing the Atlantic City casino, Borgata Hotel Casino & Spa, that alleged he and another player cheated the casino of $9.6 million last year during a baccarat tournament. Ivey claims that the lawsuit against him is frivolous and completely without merit. Furthermore, he says the casino has willfully and with malice destroyed the evidence that would clear him of any wrong-doing. The Borgata sued Ivey and a co-defendant last year, alleging that Ivey and the co-defendant used defective cards, which allowed for strategic advantage in the game. Because Ivey is a well-known high-stakes gambler, he was well positioned to negotiate special arrangements before the alleged incident. His requests include being given a private game pit, as well as a specific brand name and the color of the cards for the game (purple Gemaco). It is these cards which form the basis of the suit. Unfortunately, we might never know if the cards were, indeed, defective, as they have been destroyed. According to the lawsuit, Ivey argued the Borgata destroyed the cards - killing his ability to show the cards were not defective. 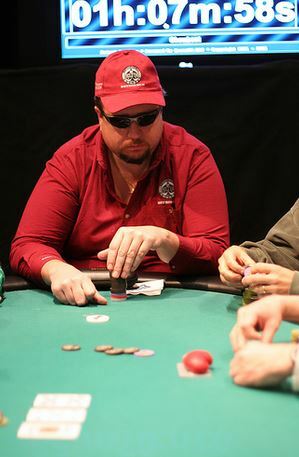 Associated Press noted Ivey has lost a similar case in Britain after the casino accused him of cheating with the same technique, and refusing his award. Ivey claimed his cards comprise a "legitimate strategy." Ivey asserts his innocence, leaning on his skills and observation to achieve his success. The legal issues raised in the case of the United kingdom will be considered again in the month of December, as Ivey has been given time to appeal. Poker's all-time leading money winner, Daniel Negreanu supports the city's effort of bringing NHL franchise to Las Vegas. According to the reports, the National Hockey League is looking to increase the number of teams - perhaps in order to help equalize the league's two conferences. Negreanu told the Toronto Sun that he's 99.9 percent sure that Las Vegas would be chosen as the next home for NHL franchise expansion. If the franchise is granted, the Toronto native high-stakes player will buy a piece of that Las Vegas' NHL team. He won't be the primary owner, but he really wants to purchase one stake of it. Billionaire businessman Bill Foley, together with the Maloof family, would be the primary owners of a possible Las Vegas' NHL team. The $375 million AEG-MGM arena already awaits the franchise. 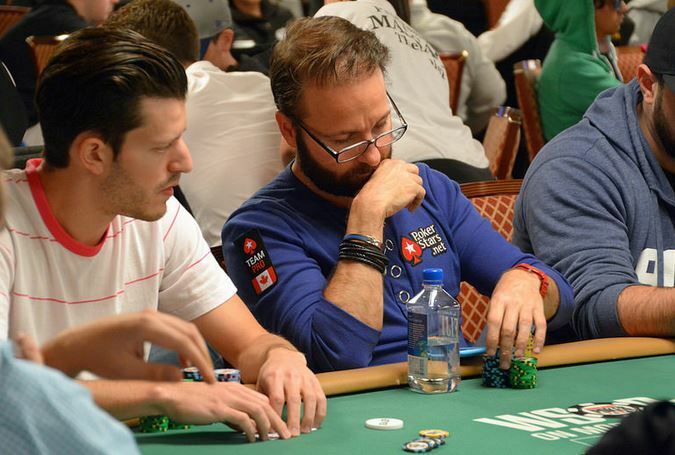 The 40-year-old Negreanu collaborated with Foley in spearheading the season ticket drive that has already sold more than 13,000 season tickets. Vegas Wants Hockey, the website of billionaire Foley, reported Wednesday that the professional league has requested for Foley's group to attend the Phase II of the application procedure to bring a hockey team to Las Vegas. According to the businessman, his team hopes the NHL will give its approval soon so the team could start joining the 2017-18 season at the 17,500-seat MGM Arena. However, sports leagues have usually been cautious of Sin City due to its legal sports gambling at casinos all over the city. In contrast, Negreanu told the press that Las Vegas has also its share of benefits. The poker pro also foretold that the Las Vegas team could become a playoff competitor four or five years from now. Ever heard of a person who can stay in front of his computer for hours just to watch online poker? Well, that's me - Dominic Hess! And this blog is dedicated to just that. So come join me and let's talk about everything poker.